If you are visiting this site, you already know that addressing the impact of Alzheimer’s disease demands a coordinated, multidisciplinary effort. Our success—beginning with the development of the critical resources you’ll find here—depends on the contributions of many trusted partners. Listed below are some of the key agencies and organizations we work with in this effort. 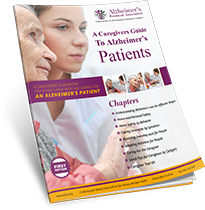 They are an invaluable resource for the Alzheimer’s Research Association, and the patients and caregivers we serve. A Place for Mom was founded more than 14 years ago to help families navigate the maze of senior housing options. Since then, A Place for Mom has grown to become the largest senior living referral service in the U.S. and Canada. Although our company name focuses on “mom,” we help dad too! As well as uncles, aunts, brothers, and sisters—everyone who is faced with finding the best senior living options for their loved ones. SeniorAdvisor.com is the premier consumer ratings and reviews site for senior care providers across the U.S. and Canada. Our site provides easy access to the information families need when making a senior care decision, and features trusted reviews and advice from local residents and their loved ones. Users can customize their own account according to their unique needs; this customization allows users to keep track of their favorite providers. Care is a global need, a need without geographic or demographic boundaries. At some point, every person and every family will have a need for care, be it for children, seniors, pets, or property. Our mission is to improve the lives of families and caregivers by helping them connect in a reliable and easy way. Our solutions help families make informed decisions in one of the most important and highly considered aspects of their family life: finding and managing quality care for their loved ones. In providing families a comprehensive marketplace for care, we are also building the largest global destination for quality caregivers to find fulfilling employment and career opportunities. We strive to help our members—families and caregivers—pursue their passions and fulfill the basic human need to care for one another. The BrightFocus Foundation is a nonprofit organization supporting research and providing public education to help eradicate brain and eye diseases, including Alzheimer’s disease, macular degeneration, and glaucoma. We are working to save mind and sight. For household employers, “nanny taxes” can be daunting. Care.com®’s HomePay℠ can handle all of your employer payroll obligations. From setting up automatic payments to preparing tax returns, we’ve got you covered. We would like to thank the people at the Alzheimer’s Society of Canada for their invaluable help in allowing us to the information contained in this site. Their cooperation was greatly appreciated. Since 1978, the Alzheimer’s Society of Canada has been dedicated to providing help for people with Alzheimer’s disease and their caregivers.